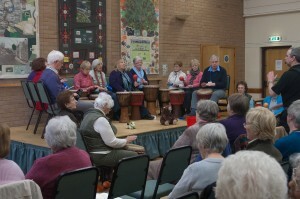 Over the past year more and more people have become interested in the work of Talking Rhythms. can be designed to work with ages from four plus to ninety and with groups from all areas of our community. Everyone joined in ……….thank you !